Recently, I have been talking with my wee ones about being Thankful and what that word really means. I decided it would be nice to make little gifts with the kids to give to some of the many people we are thankful for this Thanksgiving. 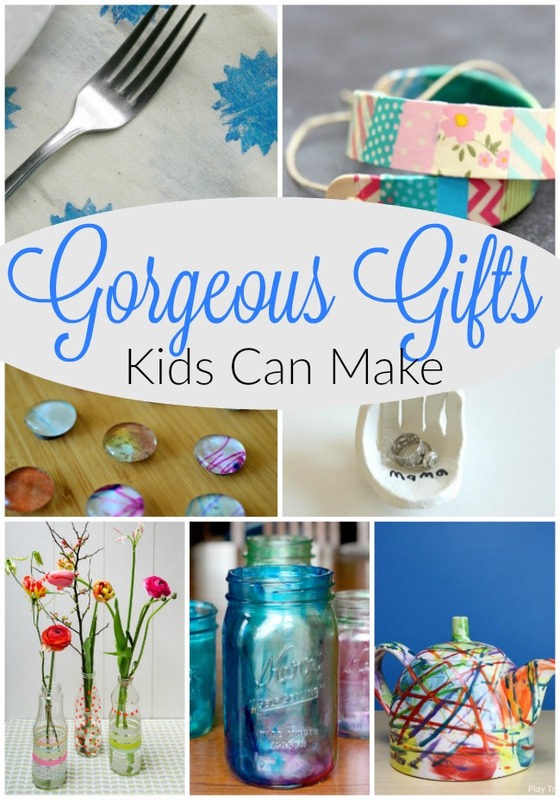 I looked on Pinterest (I have so much fun on Pinterest – you are most welcome to ‘Follow’ and share in our fun!) 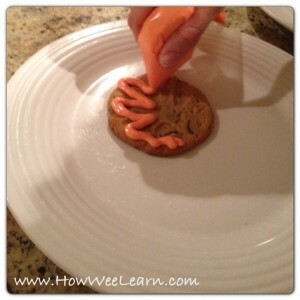 for a Turkey craft, found this one on Teacher Bits and Bobs – and thought – I could do that in Cookie Form. So we did! 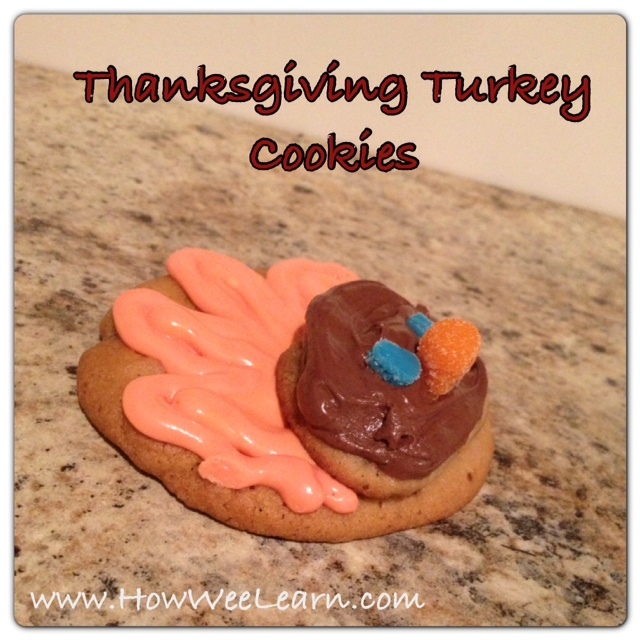 These simple Thanksgiving Turkey Cookies turned out so cute! 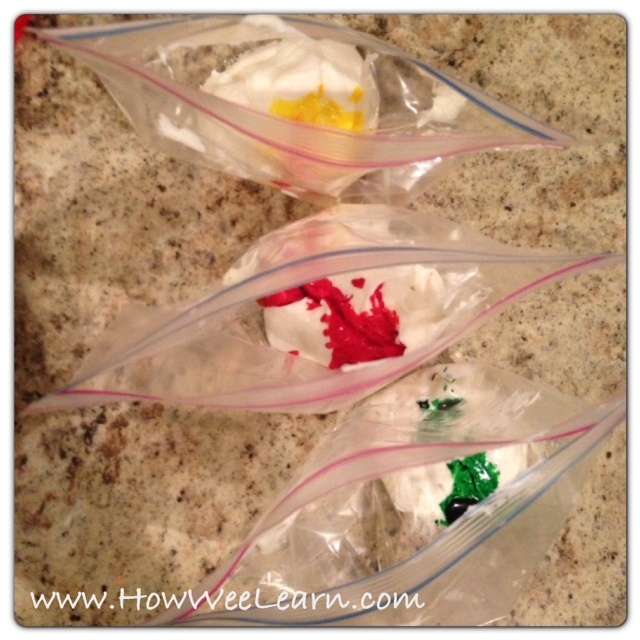 little decorations for eyes and beaks – we used cut up gummy worms which worked awesome! First of all, we rolled the cookie dough and placed it on the cookie sheet as though we were making normal cookies. 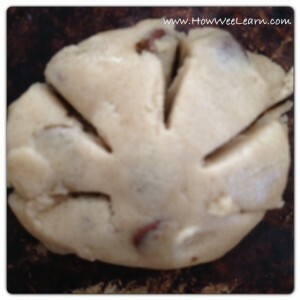 But before baking them, we put little cuts with a knife around the edge of the cookie – so it looked like a flower. Once they were cooled, we assembled our Thanksgiving Turkey Cookies. 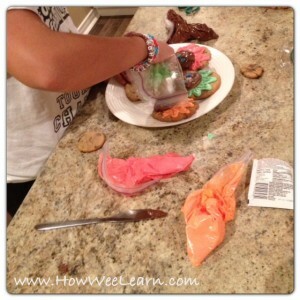 Next, we cut a tiny corner out of each Baggie, and piped around the big cookie to emphasis the slits we cut (feathers). Then we added a dot of icing and stuck a small cookie on as the Turkey’s head. We covered this little cookie with brown icing. Finally, we stuck our candy eyes and beak on to the face. We decided we would deliver these cookies to some friends and neighbours this weekend. Madeline wrote a cute little card to give with each cookie. This was a fun baking activity to help my little ones understand appreciating others and be Thankful for all of the wonderful people in their lives. As we were baking, we kept talking about who we should give each one to – – – by the sounds of that conversation we should have made many more dozens of cookies! 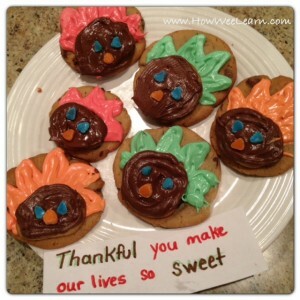 We made these Thanksgiving Turkey Cookies as gifts, but they would also be cute little cookies for a class, or to bring to Thanksgiving dinner for the kids. Thank you Lynne! Are you celebrating Thanksgiving this weekend? 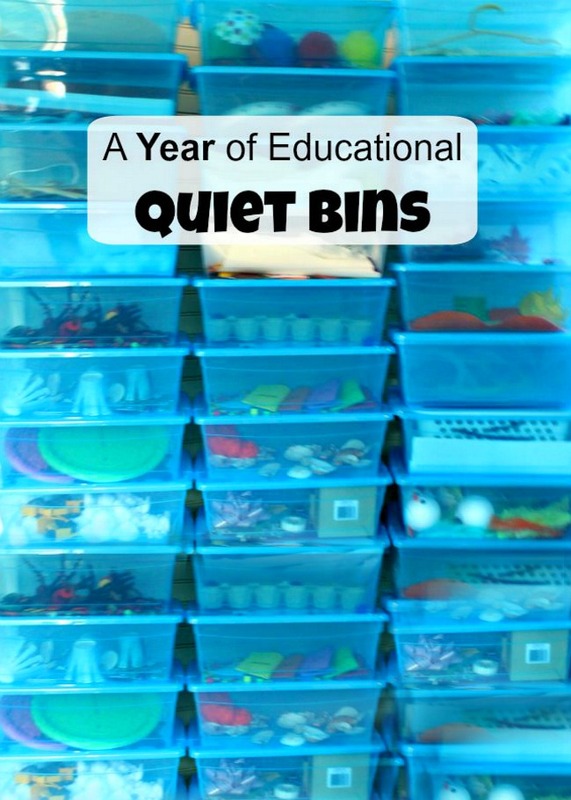 These are so cute and would make perfect classroom treats! 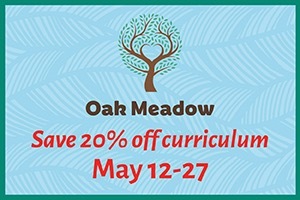 Thank you so much for linking up to Discover & Explore! Thanks Chelsey! Your post on 5 fun ways for cooking with kids was wonderful!